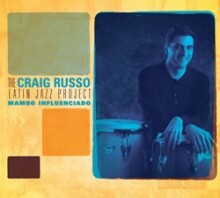 This recording, Mambo Influenciado, is about what influences and inspires me. Inside every musician is the unique cumulative experience of what we have heard, where we heard it, who played it, and how it makes us feel. We listen, we learn, and we assimilate. At times, we come by things indirectly or even mysteriously, but often our influences are more obvious. My teachers in Cuba inspired me in profound ways, and I honor them by passionately studying and playing what they shared. By blending their influence with a lifetime of playing and listening to jazz, I aspire to spread their inspiration beyond me. I also learned a tremendous amount from the musicians on this recording. They have shown a hugely generous spirit in welcoming my ideas and inspiring new creative interpretations. Our music is a broad landscape of creativity and imagination that comes from our past, yet is also very much of the moment.